Beaumont House takes pride in providing excellent student accommodation and student rooms to rent in London, for all Malaysian, UK and International students. Beaumont House boasts a perfect location, providing student flats in West London that offer everything you need within walking distance. Beaumont House provides student accommodation in West London, located near major bus and tube links, with additional access to transportation, including Heathrow Airport. Beaumont House has a variety of rooms available that cater to both UK and International students’ needs. We provide great options for those looking for student flats in London whilst studying. Here at Beaumont House, we aim to provide excellent student rooms in London for all UK and International students. By catering for everyone’s needs from across the globe, our student accommodation in London has an inclusive and accommodating environment that cannot be resisted. But the rooms we offer aren’t your typical student pads. Our student rooms to rent in London were designed by Victorian architect George Wyatt and assisted by TS Tippet, giving the rooms that something extra, an original touch. 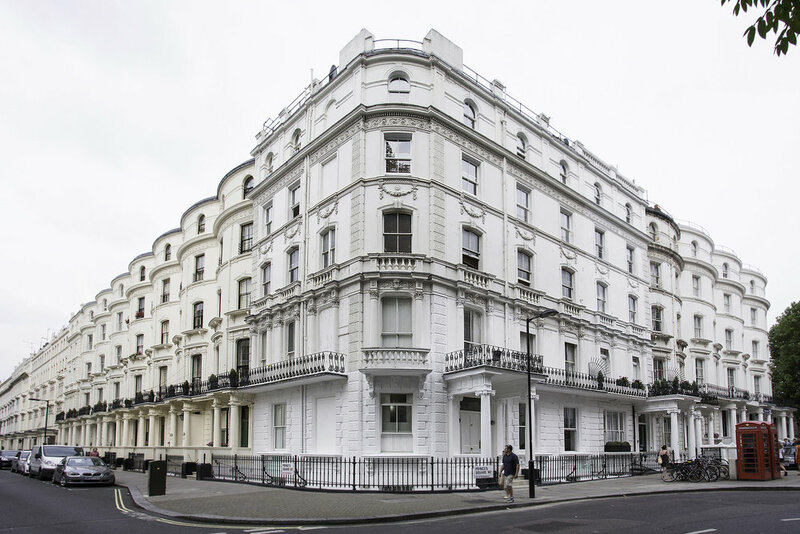 Our properties were originally developed between 1856 and 1859 as stucco-faced terraces. However, in the early 20th century, they were converted into boarding houses and hotels and are now heritage sites that allow you to experience the charm and quaintness of old England. That said, you’ll still be able to incorporate all that you love about your home into your student experience. We understand that being away from home is never easy, especially when you are from different continents and cultures. So, you will undoubtedly be pleased to find that we take special pride in embracing Eastern cultures and their way of life more openly here. We have a prayer room, ablution room and specialised international student services provided with all our student accommodation in London. We offer you a home away from home, as our facilities and services have been specially created to make you feel welcome from the moment you arrive. What’s more, with our student accommodation in London, we can offer you the ideal location as we have excellent transport links just around the corner. As well as this, our student rooms are only walking distance away from some of London’s greatest sights and activities, keeping you entertained in your spare time. We are situated in the heart of the city, meaning you can really make the most out of living and studying in this thriving capital. If you are looking for an inclusive accommodation package, then consider Beaumont House for student rooms in London. We have all your needs catered for and look forward to becoming a part of your student journey.